A tiny, yellow-headed titmouse found in the southwestern United States. Though never actually decommissioned, she remained inactive at Charleston until early in 1947, when she embarked upon a refresher training cruise in the West Indies. She also participated in a fleet exercise held off Cuba. On 18 March 1947, near the conclusion of the exercise, YMS-471 was named Verdin and was re-designated AMS-38. After a tour of duty at Yorktown, Va., serving as a training platform for the students of the Mine Warfare School, Verdin returned to Charleston in November where she remained until the following spring. In April 1948, she entered the Charleston Naval Shipyard for repairs and then put to sea once again for refresher training put of Norfolk. In November, the minesweeper participated in cold weather fleet exercises off Newfoundland before returning to warmer waters. MSC(O)-38. On 1 July 1955, she reported to Green Cove Springs, Fla., for inactivation. There, she went into reserve on 30 August 1955. A little over four years later, on 1 November 1959, her name was struck from the Navy list. No documents have been found giving details of her final disposition. 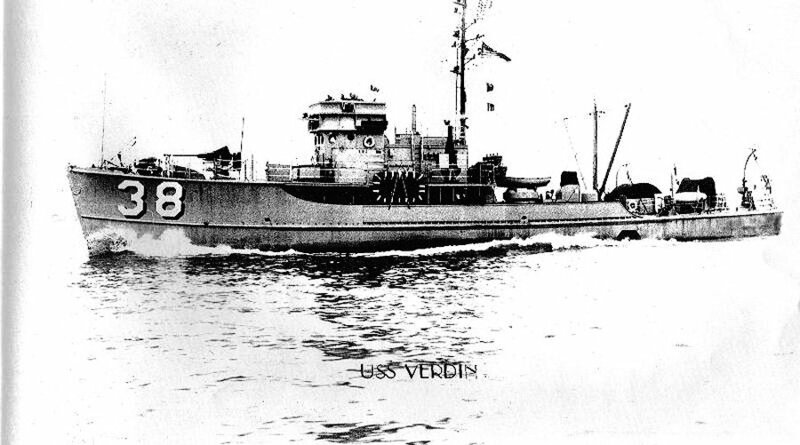 Verdin (MSC(O)-38) earned three battle stars for World War II service as YMS-471.